Sensitivity to sunlight, a thirst for blood, and a nearly corpse-like complexion are the classic signs of a vampire; they're also the signs of a genetic blood disease known as erythropoietic protoporphyria (EPP), as a new study calls the condition. Although the disease itself is not new, researchers for the first time have identified the specific genetic mutation they believe is behind much of vampire lore. 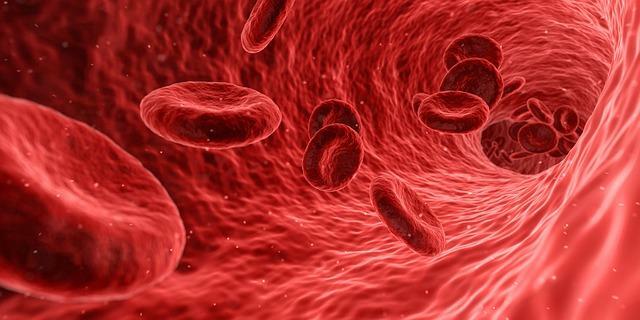 Disorders that affect the body's ability to make blood are known as porphyrias, and researchers note that EPP is the most common type of porphyria. In addition to identifying the genetic mutation responsible, the team also believe that they may be able to correct it with gene therapies; although vampires are not real, there's a very real need to treat and cure genetic blood disorders. Today, porphyrias are recognized as rare blood disorders, but researchers hypothesize that in the past, the strange side effects of this disease may have given rise to the myth of the vampire. For example, porphyrias affect the production of a blood molecule called heme. This results in anemia and extreme photosensitivity. "People with EPP are chronically anemic, which makes them feel very tired and look very pale with increased photosensitivity because they can't come out in the daylight," said lead study author Barry Paw in a recent statement. “Even on a cloudy day, there's enough ultraviolet light to cause blistering and disfigurement of the exposed body parts, ears and nose." Although blood transfusions and proper skin protection can now alleviate these problems, in the past, people with EPP may have self-treated by drinking animal blood and completely avoiding the outdoors during daylight hours. It’s not hard to see how our ancestors could have confused these behaviors with that of an undead blood-thirsty monster. Today, we know that porphyria is not a curse but a real medical condition, and we can even identify exactly where in the human genome the disease originates. The researchers were able to find the mutation by looking at the DNA of a family in Northern France with EPP. They found that a mutation in the gene CLPX, which plays a role in mitochondrial behaviors, was largely responsible for the disorder. As with any puzzle, figuring out the problem is key to creating a solution, and the researchers believe their findings may help create more effective treatments for porphyria blood disorders. The study was published online in Proceedings of the National Academy of Sciences. According to the Mayo Clinic, current treatment for porphyrias involve blood drawing, hemin injections, and dietary changes to reduce symptoms. However, Paw hopes that further identification of gene mutations involved in this blood condition will lead the way to better therapies.